Rendang is a spicy meat dish which originated from the Minangkabau ethnic group of Indonesia and is now commonly served across the country. One of the characteristic foods of Minangkabau culture, it is served at ceremonial occasions and to honor guests. Rendang is also served among the Malay community in Malaysia, Singapore, Brunei and Southern Philippines. Using a slow cooker makes this dish very special. 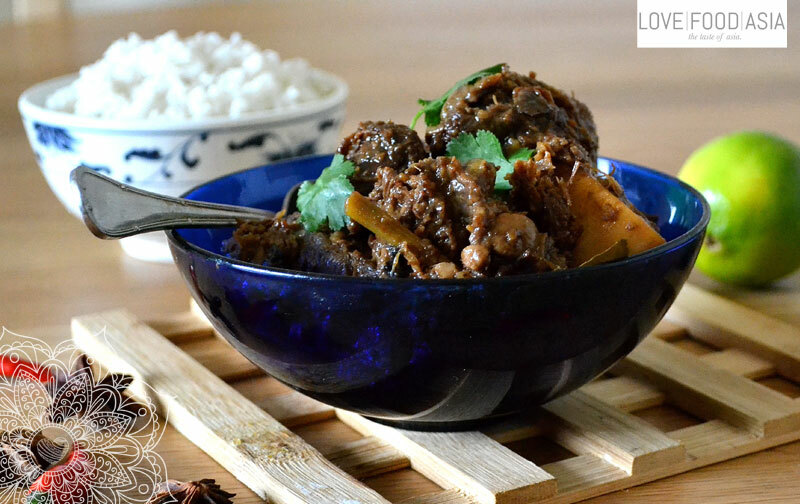 The beef will be soft in the end and all the spices can spread their flavor in this curry. It will take some time to make this curry but it is absolutely worth it. Mix shallots, dried chilis and ginger in a mixer until you have a smooth paste. Set aside. Dry heat coconut meat in a pan, stirring continuously until golden brown. Set aside to cool. Grind coriander, fennel, cumin and nutmeg. Using a slow cooker, fry the shallot paste in soybean oil for a few minutes. Add ground coriander, fennel, cumin, turmeric and nutmeg; cook for 3 to 4 minutes, stirring continuously. Add beef; cook over a medium heat for a further 3 to 4 minutes, or until meat is browned. Stir in sugar, coconut meat, lemongrass, cloves, cinnamon stick, coconut milk , and water. Close lid of the slow cooker. Bring to a boil, lower heat, and simmer until most of the liquid has gone and the meat is tender (about 1 hour). Season with salt and serve with rice.